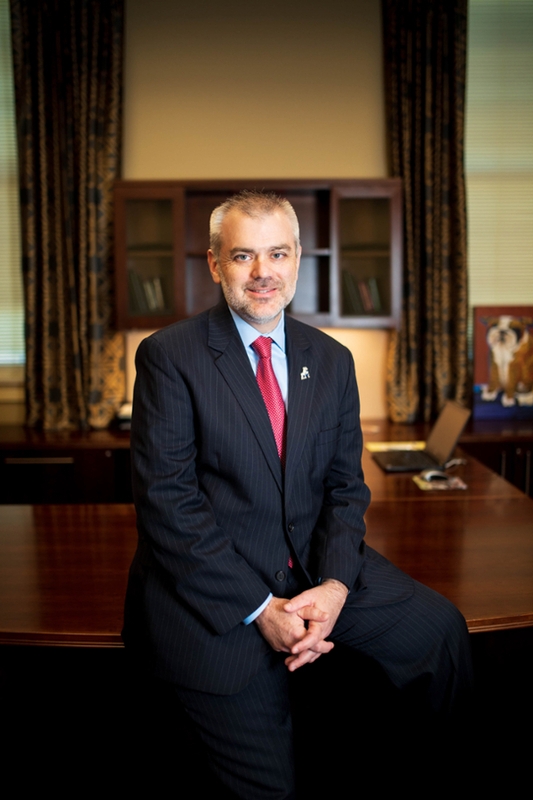 Charles M. “Chad” Carson has been appointed Brock Family Chair in Entrepreneurship in Samford University’s Brock School of Business. In this role, he will lead the Regions New Venture Challenge business plan competition, assume management of the Student Incubator and work on a strategic plan for the entrepreneurship major. Carson teaches classes in entrepreneurship at both the undergraduate and graduate levels, and hosts an entrepreneurship roundtable each month. The entrepreneurship program and major were added to the curriculum at the business school in fall 2008 after the school was named for Birmingham businessman Harry B. Brock Jr. Franz Lohrke laid the foundation for the program and has grown the program to where it is today. The next phase for the program, according to Carson, will be to engage the business alumni base more and to become a resource for Samford alumni who are entrepreneurs. Students also will be given more opportunities to network and learn from entrepreneurs regionally and locally, both in the classroom and with internship placements. Carson also anticipates growing business plan submissions for the Regions New Venture Challenge and to partner across campus with student entrepreneurs in Samford’s pharmacy and journalism and mass communication programs. Carson wants to enhance the Student Incubator experience by helping students create limited liability corporations, develop websites, and establish articles of partnership or incorporation, as well other start-up expenses. Incubator residents will benefit from mentoring meetings and brown-bag sessions with experienced entrepreneurs. “With the help of several Brock School of Business donors, we will be able to help pay for the expenses a student entrepreneur will have in start-up costs,” Carson said.